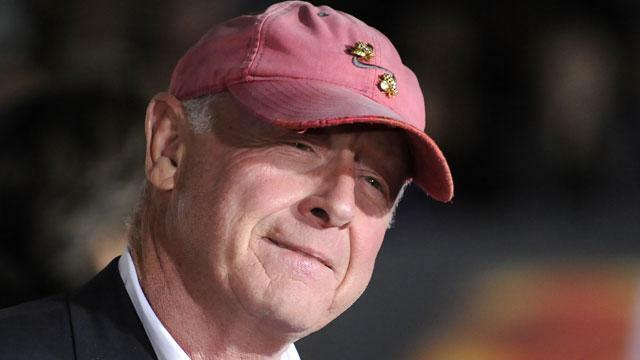 The family of director Tony Scott, who died Sunday after jumping off a Los Angeles bridge, was not aware Scott had cancer, Los Angeles County Coroner Ed Winter told ABC News station KABC in Los Angeles. ABC News was unable to reach Scott's family to confirm the coroner's statement. ABC News had reported the director of films such as "Top Gun," "Days of Thunder" and "Crimson Tide" had inoperable brain cancer, citing a source close to Scott. Police said they received a 911 call at about 12:30 p.m. Sunday that an individual had jumped off the Vincent Thomas Bridge. The body was recovered around 3 p.m., when it was identified by authorities as Scott, according to Lt. Joseph Bale of the Los Angeles County Coroner's Office.